Craft beer has taken Mumbai by storm in the last few years with a number excellent breweries cropping up in the city, satiating their ever-thirsty customers with their delicious, refreshing and creative brews. We explored Mumbai’s most popular pubs that produce their own beer and drank our way through the best beers and ciders in the city. Here we present the best breweries in Mumbai. The White Owl takes craft beer very seriously, using ingredients from around the world in traditional and new age styles to produce an amazing array of locally-handcrafted beer. Beer connoisseurs can sample their versions of Belgian Wit, Irish Red Ale, German Hefeweizen, American Pale Ale and many more – a total of nine varieties. This funky brewery has a stylish décor and an upbeat crowd of all ages who come to enjoy the delicious beers on offer. Some of their popular brews include Botwork Orange – a Belgian Wit, Mojo Rising – Midwestern Pale Ale, Indian Pale Ale styled Draft Punk, and a delicious apple cider cutely called Outcider. Check out their Super Sunday Specials for fabulous deals on their food and drinks. A cool British-style pub, the British Brewing Company has outlets in Lower Parel, Goregaon East, Navi Mumbai, Marol and Thane. The wooden interiors and cozy lighting will take you straight to a traditional UK pub. Here you can choose from beers from Gateway Brewing Company or domestic and imported beers. The pub plays old school rock from the 90s which really sets the tone for the night. As the evening progresses the place filled up and the party vibe gets going. 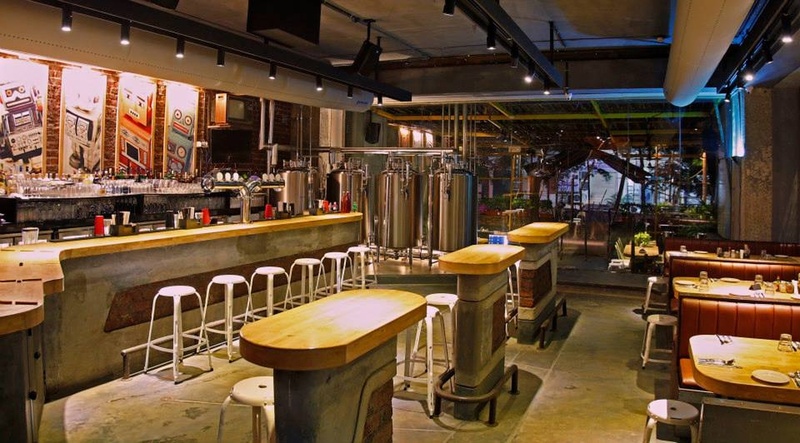 The Independence Brewing Company is a pub brewery in Mumbai that serves up a variety of craft beers across several global brew styles. Some interesting brews include the self-explanatory Blueberry Pie and Raspberry Porter, and Ixcacao – which includes cocoa nibs and bourbon vanilla. This famous Bangalore brewery is renowned for its delicious beer served in tall glasses amidst its equally refreshing interiors in bright yet muted colours of yellows, blues and brown. Toit has a fantastic ambiance with a spacing setting and a high open ceiling that lets tons of natural light through. It’s the perfect daytime beer joint that fluidly morphs into a cool evening party place. Toit boasts all natural ingredients free from chemicals, enzymes, artificial flavours or preservatives. A happening spot in the Navi Mumbai area, Royal Oak Brewery has several handcrafted brews that can be purchased by the glass and pitcher. The varieties are German Wheat, Belgian Wit, Rice Blond Ale, Munich Lager, Belgian Red Ale and Pale Rye Ale and Flavour Beer in strawberry and peach. Doolally is a cute pub with comfortable furniture and laid back décor that give it a cozy, homely feel. What’s more, there are tons of board games for you and your pals to while away the time while sipping on a few cold ones. The taproom hosts regular pub quizzes and events and is open as early as 7am in the morning for breakfast. On-tap brews include Oatmeal Stout, Rauch Bier, English Brown Ale, Belgian Witbier, Apple Cider and Mango Cider. The Gateway Brewing Company supplies their unique brews to bars across Mumbai and Pune but this is their first own pub venture where they showcase their flagship beers and experimental and limited edition beers so it should definitely be on any beer-lover’s list of places to try. Who doesn’t enjoy an icy cold beer after a long hard day? Tell us about your favourite places to grab a beer in Mumbai and which craft beer you love. 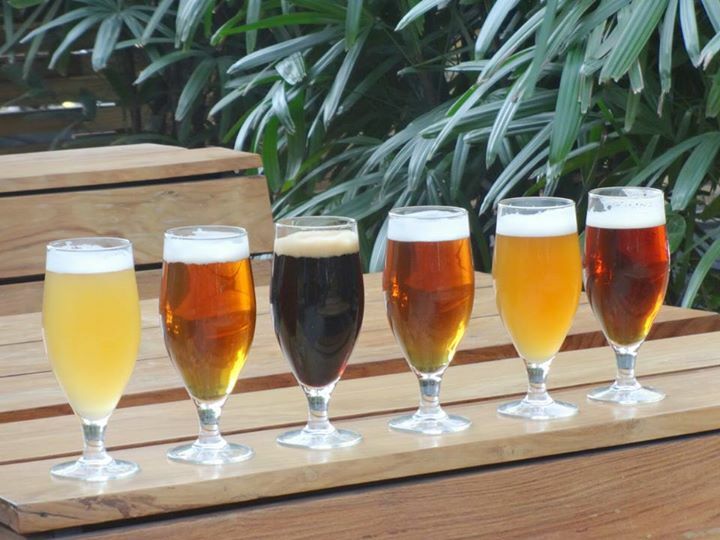 These are, in our opinion, the best breweries in Mumbai. Now it’s your turn. Let us know your favourite brewery in Mumbai in the comments below.